Built around 1850, the beautifully restored Gardeners Cottage holiday property was once home to the Head Gardener of the Whittern Estate. Backing onto a lovely and well-protected courtyard, it is historic, stylishly decorated and well proportioned: the ideal holiday cottage for a family or a cosy couple's hideaway . The property sits proudly in large open gardens of its own, next to the kitchen garden with its original eighteenth-century red brick walls. The family sized accommodation at Gardeners Cottage is very well laid out and all the decor and furniture is designer orientated. The rear entrance meanders through an eclectic courtyard, entering straight into the fully fitted kitchen (off which there is a utility room and a large shower and toilet). The dining room is adjacent to the kitchen and will seat up to 10 around a large vintage table. The sitting room is the other side of the front entrance and porch area and has comfortable sofas, armchairs and a delightful wood-burner. Upstairs, Bedroom 1 has a kingsize bed and a vanity unit in the room; Bedroom 2 has a double bed with a French style bed and sink, and Bedroom 3 provides twin accommodation. The main family sized bathroom has a large enamel bath, basin and toilet. Enjoyed our stay in Gardener's Cottage very much! The cottage is very conveniently placed and the grounds are lovely and well kept. Beds very comfortable. We would really recommend this cottage. Lovely cottage to stay along with rental of The Colloquy. Mainly used facilities in The Colloquy but nice quiet retreat . We really enjoyed our stay in the lovely tranquil part of the country. Because all the family went, some stayed in the Gardeners cottage and my wife and myself stayed in the Forge. Being honest I was happy in the Forge as I thought the cottage required updating a little. The members of the family that stayed in the cottage were happy and It did not spoil our excellent weekend. Poorly maintained and rather shabby. Lovely large garden and an excellent welcome hamper, but which doesn't really compensate for the musty smells in the cupboards, the peeling paint and the stained walls and carpets. Dear Kate, I am sorry your stay in Gardeners cottage was disappointing, we really appreciate honest reviews, it’s only through this kind of feedback that we can respond and react. We understand your views on the decorative state, but we were sad that you only gave a 2 for cleanliness on which we pride ourselves. We have decoration throughout the cottage planned for this Autumn now the bookings have gone a little quieter. This is something we are addressing although no good for your stay. I wish you had contacted me during your stay to let me know you were unhappy as I could easily have moved you to another cottage. 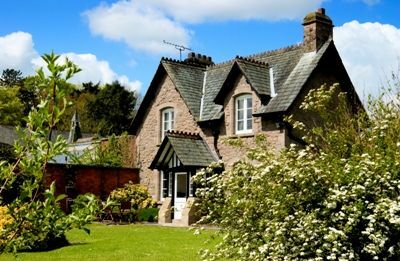 Gardeners cottage is a popular cottage and we have lots of visitors that return year on year, it is particularly popular with families with dogs so the wear and tear is more than any of the others. We would love to have you stay with us again in one of our other cottages, we do have a brand new cottage, The Lodge which may be more suitable. My partner and I hired out the whole estate for our wedding celebrations. Some of our family stayed in gardener cottage it was so cute and was like something that had been plucked from a fairy tale. The family members who stayed there thought it was perfect. It is in excellent condition and is very clean and tidy! Nothing was too much trouble and we thoroughly enjoyed our stay. We are already planning our return. A beautiful and comfortable cottage with spacious gardens, beautiful scenery, access to a swimming pool and walks nearby - a lovely place to spend time. This cottage worked really as part of a large group of 14. We had three cottages together, and used the kitchens in both Gardeners and Forge for preparing large meals for everyone. We were all able to sit up and eat at the table in Forge cottage, and Gardeners was nice for breakfast in the morning as it was close to the pool. Having access to the pool was excellent, and we had a fantastic time being able to walk into beautiful countryside from the front door. 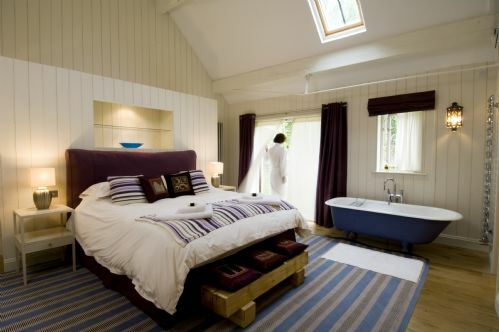 We booked Gardeners cottage in addition to The Colloquy and The Forge for a family weekend. 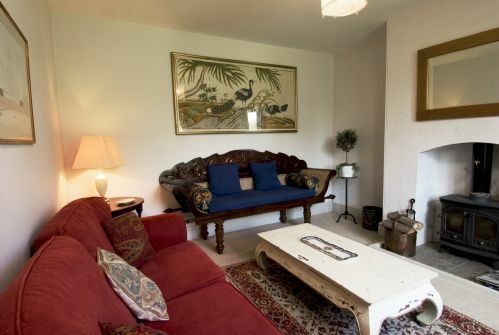 It accommodated 3 couples very comfortably and they appreciated the cosy sitting room and attractive bedrooms. Lovely stay for a weekend with friends who were also in the colloquy and the forge. Out of the 3 cottages, the bedrooms in this cottage were the least luxurious however they were still quaint and well kept resulting in a cosy stay for the weekend. A fantastic period property in beautiful countryside. The cottage is well equipped and comfortable. We enjoyed the wood burner which made it cosy. Lovely surrounding gardens. The management were really helpful at all stages and made everything easy, nothing was too much trouble- great information booklet supplied also? We appreciated the basket of food treats, a lovely touch. 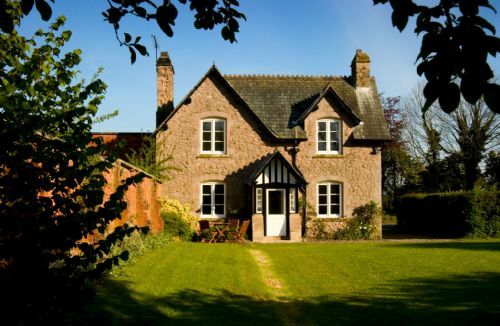 Beautiful property in the heart of the Herefordshire countryside, amazing destination. We spent a triple 40th birthday weekend at Gardeners Cottage, Field Cottage and the Colloquy, and it was the perfect destination. The properties are all fantastic and have great facilities. Charlotte and her team provided everything we needed and more (including a lovely treats hamper that was very much enjoyed); however, they were never intrusive or overbearing. The location is beautiful and the grounds are stunning (although we didn't have time to explore them all). All of the children in our group enjoyed the best game of hide and seek ever. All in all, we can't recommend the property highly enough, whether you are looking for a short break or a little longer, you will not do any better. Very pretty looking cottage with lovely garden and spacious grounds. Great for walking the dogs, also very quiet. The inside of the cottage we were happy with except for the extractor fan in the wet room didn't work, lack of cleaning materials in the kitchen and also larger dishes for cooking. My husband also would've liked some fire tools for managing the log burner. Relaxing country cottage escape, Fabulous. Wonderful week at Gardeners Cottage! We stayed for a week with 5 little ones and had a wonderful time. The cottage was cosy and had everything we needed. The gardens were fantastic for the kids to run and around and explore and the swimming pool went down a treat, even on the odd rainy day! A beautiful estate in a beautiful area. We definitely plan to return. We spent our annual family (23 of us) at Colloquy & Gardener's Cottage this year. What a find! We spent most of our time in Colloquy, the main house. Fantastic facilities. Would definitely come back again. We wanted a few quiet days away from the rush of daily life and we got it. The dogs could roam free in the garden and attached fields and forest, no leads required. Excellent food venues nearby. Very little traffic on the roads which made for relaxing driving. Many interesting towns and monuments for those seeking culture. We were very happy with our stay at Gardeners Cottage. The cottage is very attractive, well equipped and in a gorgeous setting. Although nicely furnished, the decor was not too pristine so that, with a dog and small children, we felt we couldn't relax....There was a problem with the boiler not working at one point, so we were without hot water however both the owner and the agent were quick to respond and find a workaround. They were very helpful and approachable. The outdoor pool was a bonus that the kids loved. The only downside is that we were limited to 2 hours in the morning to use it. That said our neighbours from another cottage used it at the same time as us anyway (without realising they shouldn't have) which we didn't mind, and then they invited us to use it during their allocated times, so it all worked out well. We thoroughly enjoyed our stay and I would definitely go back if visiting the area.